HomeTestimonies argeology Who were the Essenes? With our recent study on the Dead Sea Scrolls, we had a lot of exposure to the group of people called the Essenes. The majority view at the moment states that they were the people who lived at Wadi Qumran. It is believed that they were the owners of the scrolls that were found in the Judean desert. There is also another reason that a lot of people are looking at this group. They are known for the fact that they did not use the lunar calendar. In their scrolls it is clear that they followed a solar calendar. This makes it clear that they did not follow the norm of the Pharisees and Sadducees. Except for these two facts, what else do we know about this group. What do we really know about them? Did they have truth that we should be aware of? In 172 B.C. the Zadokite high priest, Onias, was murdered in Jerusalem. Meneleus, a highly hellenized Jew, then replaced him as high priest. Meneleus was not from the line of Zadok and for many people this made him an usurper. At the same time, Antiochus Ephiphanies force hellenization on the Jewish people. This resulted in the revolt lead by Judas Maccabeus. This revolt was successful in removing the Roman rule. The Maccabeans established an independent state under the Hasmonean line. Yet, the Hasmoneans did not return the nation to the Torah, but rather increased hellenization. Judas Maccabee signed a treaty of friendship with the Roman Senate. Then in 152 B.C, Jonathan Maccabee made himself High Priest. He thereby joined the role of king and High Priest into one person. He was also seen as an usurper. The Palestine-origin theory claims that the Essene movement formed during this time. It was as a reaction to the corruption of the priesthood. They believed that their ancestral religion had become corrupted by non-Zadokites. They rallied behind a man they called “Moreh haTzedek“, the Teacher of Righteousness. He was the real High Priest from the line of Zadok. Only he had the authority to interpret and teach the Scriptures. The Wicked Priest opposed the Teacher of Righteousness. The Wicked Priest ruled illegitimately in Jerusalem. This theory claims that the Essene movement started much earlier during the exile in Babylon. Many of the Jews in Babylon saw the exile as an divine punishment. To ensure that this did not happen again, a group bound themselves together to ensure perfect observance of the law. After the exile, some of this group returned to the land, while others remained in Babylon. This return to the land took place during the time of the Hasmonean kings. The hellenization that occurred disappointed the returnees. As a result, they withdrew themselves from the community. They believed that they were to follow their pure ways. Then they would be saved from the coming messianic judgment. Researchers base most of their support for this theory upon the content of the Damascus document. Archeologists found eight copies of this document in the caves around Qumran. This document was also found in the Ben Ezra synagogue in Fustat, Egypt. The Babylonian theory sees a large part of this document as historical. During the exile in Babylon Jews wrote this document. The theory is also supported by a claim that some of the words used in the Isaiah scroll reflect a Babylonian prototype. What do we actually know about them? We have two classes of information about who the Essenes really were. The first class is writings of people outside their community. Here we include Josephus, Philo and Pliny the Elder as the main contributors. The second class of documents is what the community itself recorded. This is based on the theory that the people who wrote the Dead Sea Scrolls were Essenes. He also stated that they did not offer sacrifices in the Temple, but rather offered their own sacrifices. We do not have one complete scroll of this document. We have two scroll fragments that researchers used to create a complete scroll (CDa & CDb). The complete document consists of 22 columns. This document consists of two sections according to the academics. The first part of the document is called the Admonition. It comprises of history, moral instruction, exhortation, and warning addressed to the members. The second part of the document describes the Laws. It looks at the laws as expressed to them through the teachings of the Teacher of Righteousness. 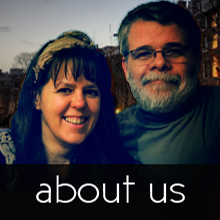 In the scroll, columns 1 to 4, the writer gives us a summary of the history of the community. This document describes the history of the Jewish nation from before the time of Noah up to the exile to Babylon. It mentions that the people came to realize that the exile was a punishment for their sin. A group of people, the sons of Zadok, decided to keep themselves to the commandments of YHVH. They saw the sons of Zadok as the elect of Israel. They supported this, using the verse in Ezekiel. Ezekiel 44:15 15 “But the Levitical priests, the sons of Zadok, who kept charge of My sanctuary when the sons of Israel went astray from Me, shall come near to Me to minister to Me; and they shall stand before Me to offer Me the fat and the blood,” declares YHVH Elohim. These sons of Zadok are the ones that will stand to the end of days. The concept of YHVH’s covenantal faithfulness is emphasized and given as the reason for the election of the sons of Zadok. A theory exists that claims that there is a direct relationship between the Essenes and the Karaites. There is currently no physical evidence for this statement. Some facts do support this theory. Both the Essenes and the Karaites reject the oral law. If we follow the Babylonian Theory, it would place the two groups in the same place. This increases the probability of the Karaites, developing out of the Essene community. The copies of the Damascus document that were found in the Ben Ezra Synagogue, shows that the Karaites in Egypt had access to the Essene documents. The fact that more than one copy was found indicates that it was not a personal copy. Both of these groups have also been linked to the Sadducees. The alternative theory is that both these groups were founded from the Sadducees. This common origin then explains the similarity between the two groups. What exactly did this community believe. The simplest way to put it – they were the ultra conservatives of Judaism at the time of the second Temple. They believed, based on the Damascus document (CD 4:8; CD 6:14), that they alone knew the exact interpretation of the Scriptures. To put it differently, they agreed with most of Judaism on the basics of the faith, but they disagreed on the application thereof.5 In order for us to understand their practices and rituals, it is important to understand how they perceived the world around them. Let us start with how they saw themselves. The Essenes believed that they were YHVH’s chosen people. They were the true sons of Zadok and they had followed YHVH’s instructions. 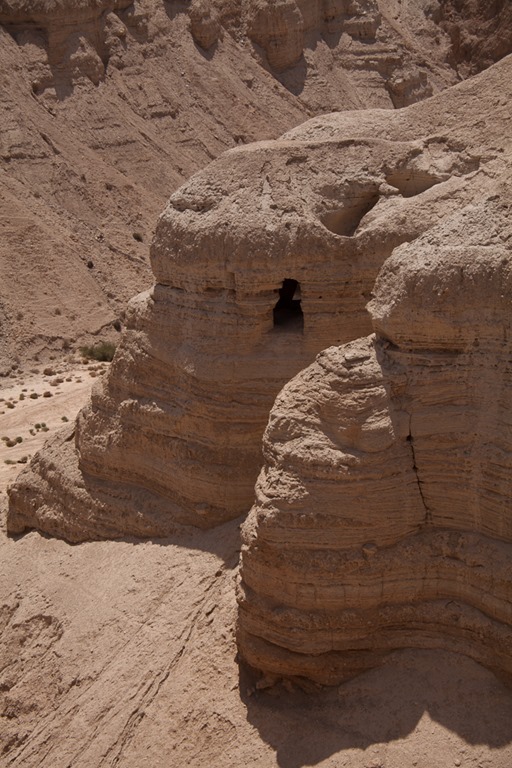 The community of Qumran had followed His instruction and moved to the wilderness. This verse is likely the reason for them setting up the community in Qumran. They wanted to prepare themselves for the revelation of the glory of YHVH. From the contents of the Dead Sea Scrolls, it is clear, that this group believed that the messianic era was near. They were preparing themselves for the final battle. As mentioned in an earlier post, the War Scroll describes this battle in detail. Angelic beings would assist them in their fight against evil. With the arrival of their messiah, they would defeat the enemy. There is quite an active discussion in the research community about the exact definition of “messiah” in the Qumran community. Researchers can give proof that they believed in two messiahs. These two messiahs would appear at the same time. The concept of two messiahs is based on the leadership structure after the return from Babylon. At that time they had two rulers. Zerubbabel was a descendent of King David. Joshua, the High Priest, was a descendent of Aaron. The prophet Zechariah was instructed to anoint Joshua the High Priest in the house of Zerubbabel. He also placed a silver crown on his head. He then pronounced a prophecy that stated that the Messiah will in future combine the two offices. 9 The word of YHVH also came to me, saying, 10 “Take an offering from the exiles, from Heldai, Tobijah and Jedaiah; and you go the same day and enter the house of Josiah the son of Zephaniah, where they have arrived from Babylon. 11 “Take silver and gold, make an ornate crown and set it on the head of Joshua the son of Jehozadak, the high priest. 12 “Then say to him, ‘Thus says YHVH of hosts, “Behold, a man whose name is Branch, for He will branch out from where He is; and He will build the temple of YHVH. 13 “Yes, it is He who will build the temple of YHVH, and He who will bear the honor and sit and rule on His throne. Thus, He will be a priest on His throne, and the counsel of peace will be between the two offices.” ’ 14 “Now the crown will become a reminder in the temple of YHVH to Helem, Tobijah, Jedaiah and Hen the son of Zephaniah. 15 “Those who are far off will come and build the temple of YHVH.” Then you will know that YHVH of hosts has sent me to you. And it will take place if you completely obey YHVH your Elohim. However, the older copy of this Manual, 4Q259, lacks this line. At the same time we have another manuscript 4Q521, also known as “The Messianic Apocalypse” that supports a one messiah view. This fragment dates from somewhere between 200 B.C and 70 C.E. This manuscripts describes two key points. It states that one messiah will rule heaven and earth. It also describes the resurrection of the dead that is to occur at the time of the messiah. Thus, the scrolls do not lead us to a final conclusion. We cannot get a clear picture of the precise view of the Essenes on the Messiah and His role. I already mentioned earlier in this article that there were some issues related to the Temple Service. We see in the writings about the Essenes some discrepancy in their view on animal sacrifices. We have also seen that the Essenes considered themselves as the true righteous community, the remnant. This statement already puts them in opposition to the Pharisees and Sadducees in Jerusalem. From the discussion earlier, we know that both origin theories claim that the Essenes did not believe that the High Priest in Jerusalem was a descendent of Zadok. Among the scrolls at Qumran, we have an interesting scroll. The “Temple Scroll” ( 11QTemple ) provides us with a view of what the Essenes believed the pre-messianic temple should be like. The scroll consist of 19 sheets, each 3-4 columns wide, giving a total of around 8,75m. The scroll does not repeat all the regulations of the Temple from the Pentateuch. It combines all the different commandments into a clear message. The scroll combines the text of the Pentateuch into subjects: the temple, the festivals, statutes for the king, etc… It also uses the style of midrash to explain what readers may perceive as differences between the different books. In some cases this leads to the author inserting text that does not appear in the Torah.8 The scroll also adds some interesting things. For example, it adds another courtyard to the temple complex. This courtyard would make the temple complex larger that what was then Jerusalem. This courtyard and it’s gates represent the encampments of the Israelites around the tabernacle. Most interesting is that the writer changes the text from the 3rd person to the 1st person. Thus, he records the commandments as if YHVH Himself is speaking. This is also true for the additions that do not appear in the Pentateuch. The Temple Scroll is also strict in applying the commandments. It interprets all Jerusalem as the camp of Israel. Therefor it applies the rules of the camp, as defined in Deuteronomy 23:12–14, to the city of Jerusalem. Thus, they built the toilets outside the city walls. They also ensured that there were mikvah baths outside the camp for the people to wash before re-entering the city. Archaeological finds around Jerusalem confirmed this fact. In the area marked as the Essene quarter, the archaeologists found the Essene gate. They also found the toilets outside the city wall and a water supply that led to the baths outside the city walls. This view of camp purity is also present in the War Scroll. From this scroll we see that the Essenes had no problem with the temple system. They had a problem with how the priests in Jerusalem interpreted and applied the texts. Even though some of them lived in Jerusalem, they applied their own interpretation of the purity laws. The Damascus document summarizes their view when it quotes Proverbs 15:8. The Essenes had one person that they believed had the mandate to interpret the Scriptures. They referred to him as “The Teacher of Righteousness.” (Moreh haTzedek) From the documents of the Essenes we know little about him. The prominent theory is that this was a real person and not the title used by more than one person. Some people credit the Teacher as the founder of the Essenes. We know from the Damascus document (CD 1:9-11) that he joined after the group had already existed. For the Essenes he was the Unique Teacher (CD 20:32). His interpretation of the Scriptures was the only valid interpretation. His presence caused a split in the community, with some people deciding to join the Wicked Priest (CD 6:10-11.) Within the community he had an opponent referred to as “the Man of Lies.” Outside the community he had an opponent called “the Wicked Priest.” All indications point to either Jonathan Maccabee or his brother Simon to be this outside opponent. Under the leadership of the Teacher, the Essenes wrote the “first” commentaries on the Scriptures. The scrolls in the Judean dessert contained commentaries on the books of Habakkuk and Nahum. We also have a commentary on Psalm 37. Researchers credit some of the Hymns in the Thanksgiving Psalms to the Teacher of Righteousness. Now that we have a basic idea of what they believed, we can also have a look at what they did. We have a detailed description of their practices and rituals. They recordered these for us in many of the scrolls found in the Judean Dessert. The most significant of these are the Manual of Discipline, the Damascus Document and Community Rule. We know that the Essenes believed that they were the elect, living in the end times. According the War Scroll, they would soon be visited by angels and then by the messiah(s). Thus, it was important for them to ensure their ritual purity. We have already seen before how literal and strict they were about the ritual purity of the camp. 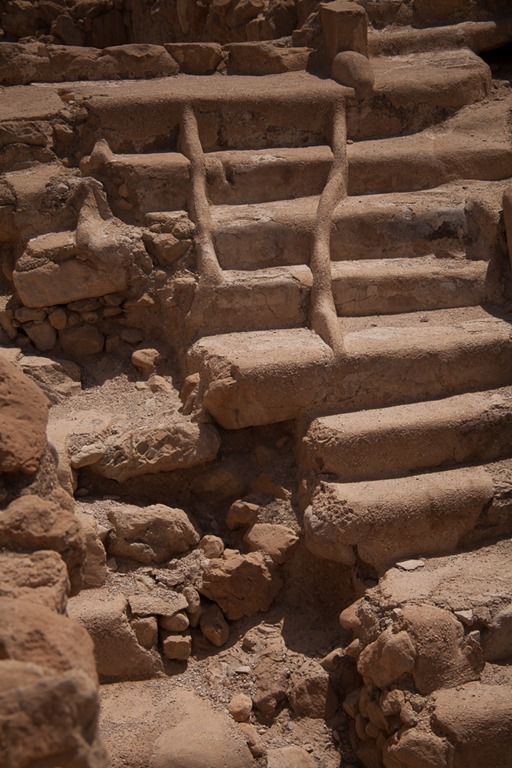 Based on the findings at Qumran, we know that personal purity was also as high a priority. The number of mikvot found at Qumran makes this clear to us. There were 13 stepped pools found at the site. This is the site with the highest density of ritual baths. The largest mikvah at Qumran (locus 71) can contain around 300 cubic meters of water. What is also unique about these baths at Qumran is the dividing line(s) they have on the stairs leading into the pool. The current understanding is that this line separated the people entering the pool. It kept the unclean people entering the pool from the clean people leaving the pool. In some case there were two lines with a space between to make sure that the people do not touch one another by accident. Once they had put on their white clothes and bathed themselves, they would enter the communal eating area. Here they would be served and partake in a strictly controlled ritual of eating. This included blessings before and after the meal by the priest. They allowed nobody, except the priests to speak during the meal. They believed that this ritual was to prepare them for the time that the Messiah would dwell with them and teach them. For the community in Qumran, prayer was a key part of their daily routine. This may be the reason why archaeologists found so many copies of Psalms in the caves. As we have seen in the previous study, the book of Psalms was the book of Scripture that most copies were found of. We also see that the community used a lot more liturgy than the 150 psalms we currently have in our Scriptures. In the scroll 4Q503 (225 papyrus fragments) we find some of the daily communal prayers that the Essenes used. This scroll describes the blessing that they recited in the evening and the morning. This scroll seems to contain the blessings for the first month. The text is a collection of blessings and responses that the community gave to bless YHVH for the sunrise and the sunset. What is most interesting, and seldom mentioned, is that these blessings also correlated with the changing phases of the moon. Their documents describe the phases of the moon using 1/14th as the division – 28 day month. According to these blessings, they started their day in the evening. The evening blessing is always mentioned first. The blessings of sunrise is then mentioned as part of the day started in the evening. (4Q503 fragment 3 lines 5-15.) Josephus provides us the most controversial comment about these prayers. This remark from Josephus tells us that the Essenes prayed towards the sun at sunrise. We cannot interpret the text to say that they were worshiping the sun. Josephus uses the Greek word “eis.” The translation above translates it as “for.” In most cases translators us the word “towards.” The Greek word that would be used for praying “to” the sun would have been “pros.” YHVH gave the prophet Ezekiel a vision about this practice. Here we can see that YHVH did not approve of this practice. The scroll 1QS (Community Rule column 10 lines 1-5 ), describes the six times of the day that the people had occasion for daily prayers. They did not only divide the day into three, as was the practice in the Temple, but also divided the night into three. They prayed the first night prayer when the first night watch started. They prayed the second night prayer when the stars shine at their brightest. The third night prayer is done when the stars disappear. We also find in a number for scrolls the liturgy of the holy days. These included the Sabbath as well as the days that they marked as annual feasts. The Sabbath receives special attention with the Songs of the Sabbath Sacrifice. These were found in many fragments (4Q400–407 and 11Q17). The documents 4Q507–509 (Festival Prayers) provide us with some of the liturgy that the Essenes used for the annual feasts. It pays a lot of attention to the Day of Atonement. The Damascus document calls this covenant also the “covenant of repentance.” This was not only for own personal sin, but also for the sins of the forefathers. After this, the priest pronounced the blessing for those who have kept the commandments and the curse over those who strayed. This sounds a lot like the description of the blessings and curses in Deuteronomy. The difference is that in the Damascus document, the blessing and curses became personal. In Deuteronomy the blessings and curses are for the nation. Thus we can see that the Essenes believed that everybody in the community must be held personally responsible for their actions. Each of these blessings and curses was followed by the community twice repeating “amen.” This reminds us a lot of the ceremony that was done on Mount Ebal once Joshua had led the nation into the promised land. 43 “You have heard that it was said, ‘You shall love your neighbor and hate your enemy.’ 44 “But I say to you, love your enemies and pray for those who persecute you, 45 so that you may be sons of your Father who is in heaven; for He causes His sun to rise on the evil and the good, and sends rain on the righteous and the unrighteous. What was the leaven of Herod? Why are the number of baskets so important to understand? 31 Then Moses said to Aaron and to his sons, “Boil the flesh at the doorway of the tent of meeting, and eat it there together with the bread which is in the basket of the ordination offering, just as I commanded, saying, ‘Aaron and his sons shall eat it.’ 32 “The remainder of the flesh and of the bread you shall burn in the fire. Here we find a reference to bread that Aaron and his sons had to eat. As this was a seven day process, the Essenes made from this a rule for seven baskets of bread. Also, they did not see this process as a once off event, but rather an annual event. The offerings for this feast, including the baskets of bread is described in the Temple Scroll, 11QT 14. Thus, Yardin states that the seven baskets of bread refers to the teachings of the Essenes. This then proofs that Y’shua specifically warned His disciples against the traditions and teachings of the Essenes and the Pharisees. Both these parties were adding instructions and commandments. The disciples were rather to follow the instruction of Y’shua. One of the original scholars of the Dead Sea Scrolls, Robert Eisenman, has put another theory forward. In his book entitled “The Dead Sea Scrolls and the First Christians” he claims to prove that Y’shua’s brother James was the Teacher of Righteousness. He uses his interpretation of the Habakkuk Pesher, the Damascus Document and The Community Rule to proof his point. He claims that all the proof required is internal (that is within the content of these scrolls.) So far he has only been able to convince a small group of academics of his view. From this study, we have seen that the details about the Essenes are not exact. We have some sources that seem to contradict one another every now and again. The biggest volume of material we have, comes from the caves in the Judean desert. 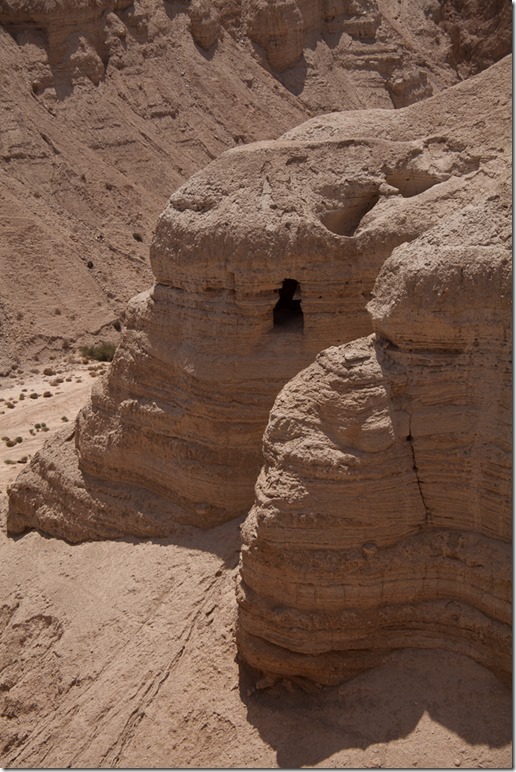 Although people make the assumption that the group of people staying at Qumran were Essenes, this fact is not 100%. 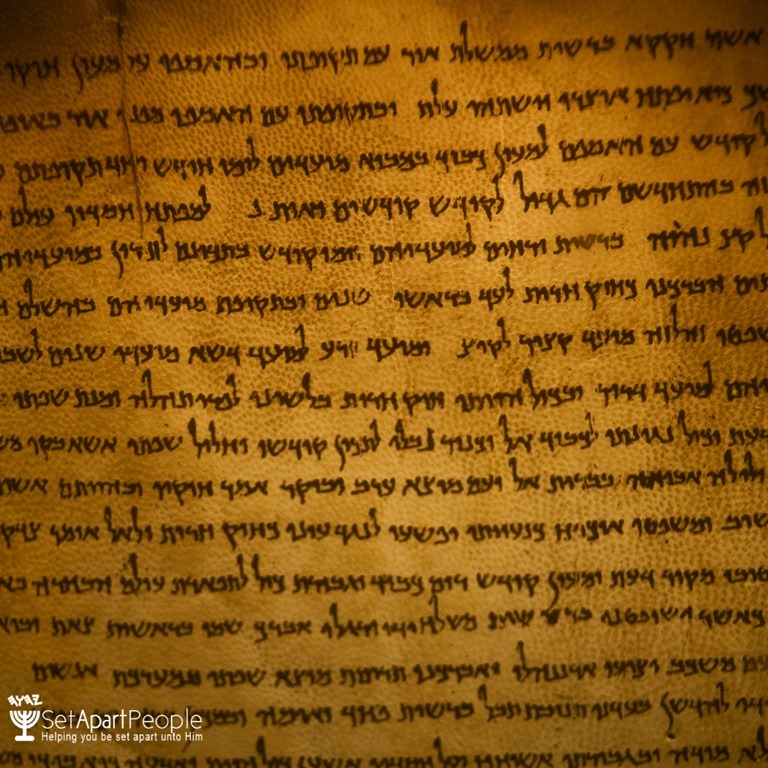 From the writings of these scrolls, we have learned that the group was a splinter group of Judaism that believed to be the true remnant. They believed that the current Temple was a corrupt institution. It had deviated from the commandments of YHVH. They were also convinced that all the prophecies had been fulfilled and that they were now living in the end times. They were expecting the messiah or messiahs to come to dwell among them after the final war. For this reason they kept strict purity laws. The Essenes saw their community as the original camp as described in the first five books of the Torah. We have seen no proof that John the Baptist or Y’shua were members of this community. There may be some evidence to proof that Y’shua was warning His followers against the teachings of the Essenes. There is a lot of interest in the exact calendar that the Essenes kept. To give this topic the bandwidth required, we have decided to do a follow-up post to cover only this topic. Please make sure you subscribe to our list to ensure that you receive this study. Shanks, H. (Ed.). (1982). BAR 08:05 (Sep/Oct 1982) – Essene Origins: Palestine or Babylonia? Josephus, F., & Whiston, W. (1987). The works of Josephus: complete and unabridged. Peabody: Hendrickson. Yonge, C. D. with Philo of Alexandria. (1995). The works of Philo: complete and unabridged (pp. 689–691). Peabody, MA: Hendrickson. Pliny the Elder. (1855). The Natural History. (J. Bostock, Ed.) (pp. 1430–1431). Medford, MA: Taylor and Francis, Red Lion Court, Fleet Street. Shanks, H. (Ed.). (1982). BAR 08:05 (Sep/Oct 1982). Shanks, H. (Ed.). (1992). The Messiah at Qumran, BAR 18:06 (Nov/Dec 1992). Freedman, D. N., Herion, G. A., Graf, D. F., Pleins, J. D., & Beck, A. B. (Eds.). (1992). In The Anchor Yale Bible Dictionary. New York: Doubleday. Charles, R. H. (Ed.). (2004). Pseudepigrapha of the Old Testament (Vol. 2, p. 22). Bellingham, WA: Logos Bible Software. Shanks, H. (Ed.). (1984). BAR 10:05 (Sep/Oct 1984). 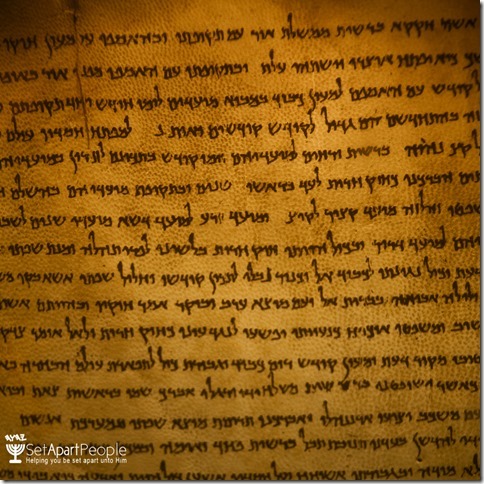 The Temple Scroll – The longest and Most Recently Discovered Dead Sea Scroll, Yigael Yadin. Which calendar did Y'shua follow? Thank you for a most informative article on the Essenes! I appreciate the effort towards presenting all the evidence. Inmy observation of their morning prayers, the Josephus quote does not specifically say they were prostrating themselves toward the sun, but perhaps merely expressing their gratitude to the Creator of it for its rising. Another observation I had was that the number of loaves of bread connected with Herod and possibly the Essenes is 7 baskets passed around and 7 returned. The Essenes seemed to be isolationists and thus had the same number returned to them, they were not having a positive or negative impact on the world. Whereas the Pharisees were very prominent and though Y’shua passed around 5, 12 more were able to be made from all the sin/leaven they had negatively influenced into world. I have a problem when people call the Creator, The Almighty Father of Abraham , Yitzak, and Yaaqob- Elohim – the Canaanite word for god/gods(Wikipidea).It is not an insult to call the MAKER and the `made `by the same name ? Do we have to see the position of the Creator in capital letters – G, O, D ? Whilst we call the fallen malakim gods? Thanks for knowledge imparted above! The fact that this word in used in another language (Akkadian) for another purpose does not remove the Hebrew meaning of the word. As you may have noted, we do not use the words “God” / “Lord” in our documents. does essenes reject torah laws about slavery? I could not find any document that states the Essenes rejected any part of Torah. They chose not to have slaves (according to the Jewish Encyclopedia Philo stated this) but it does not mean they reject the law regarding slaves. PS: According to Philo they also chose not to do animal sacrifices. Having studied Biblical Hebrew from e-sword for 21 years .. out on the ranch with little outside influence .. I am amazed at your comments here. Until one has endured many “room spins” when the idea of the vastness of Ya settles around one’s neck .. can one hope to hold up his/her head at the Judgement.